On the February 15th, 2012 two celebrities will arrive to Moscow to support the launch of their new movie in Russia. For a couple of days British actor, Daniel Radcliffe, together with English Director and Writer, James Watkins, will have a lot to do. A series of foreign visits to Moscow continues for the International Film Industry. Just a few weeks ago we greeted Tomer Sisley and Frédéric Jardin, then we were listening to Ralph Fiennes, and now Daniel Radcliffe himself gets ready to taste the cold Russian winter. He will come in the mid-February to attend the Russian premiere of his new movie – The Woman in Black (2012), which opens in local cinemas only a month later – on the March 15th, 2012. Soon the most famous wizard from Hogwarts arrives to Moscow after his successful performance for the role of Harry Potter. British actor Daniel Radcliffe has come through the Ten-year long saga featuring Harry Potter’s coming of age. The series started in 2001 and came to a conclusion in 2011. During this time Daniel got richer and became more popular, although the tense filming schedule didn’t let him be involved elsewhere in the movie industry, since he was also playing on the theatrical stage at the time. Among his other few films you could find a spy thriller titled The Tailor of Panama (2001), as well as the leading part in the drama named December Boys (2007). Now that he got more free time, Daniel Radcliffe made ready for his new adventures on the big screen. In particular, in early February in the UK a new motion picture starring him will open in British movie theaters. This film is known as The Woman in Black. This story is set on the basis of the Gothic horror book with the same title, written by Susan Hill in 1983. It seems that the literary classics of the 1980s continues to be in favour of the movie producers, and there is one more film proving it: we mean the Steven Spielberg’s drama known as the War Horse (2011). The Woman in Black was produced by Alliance Films and Hammer originating from Canada and the UK respectively. James Watkins was helming the creative process as the Director. Probably, his previous such horror experience with Eden Lake (2008) helped him on the way. All in all, he has received an award for it at the 2008 British Independent Film Awards, but still it is his real debut with a motion picture going on a worldwide tour through the planet. The events of this Gothic horror thriller are inspired by the setting of the late XIX century. People acquire many new civilized amenities, although it does not help them, when meeting with any supernatural phenomena. 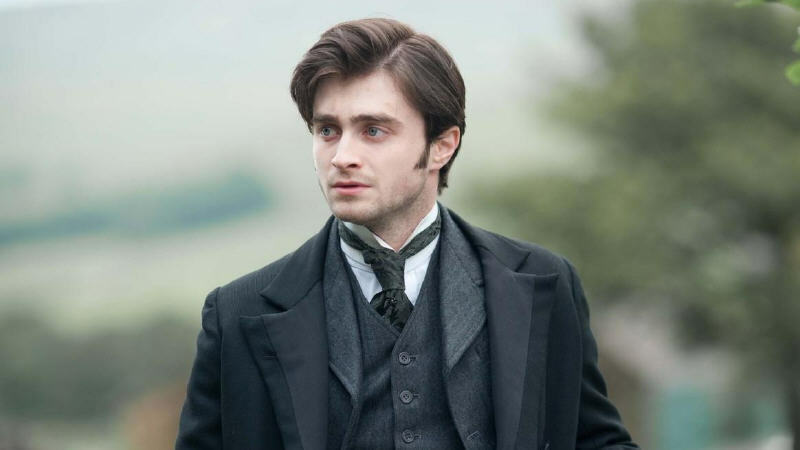 At this time, a young lawyer from London named Arthur Kipps played by Daniel Radcliffe has to take on a trip leaving behind his four year old son to do a small job in a village located in the North. During this travel he just has to create a list of documents depicting the activities of the dead Eel Marsh estate’s owner. Local residents in the movie known as The Woman in Black are not very happy to see the arrival of a stranger, and also they don’t even plan to reveal their mysterious secret to this lonely father trying to uncover some truth in the village. An unexpected encounter with a mysterious woman dressed in black launches a series of violent deaths happening to the inhabitants, and Arthur Kipps has to battle the evil forces for survival and the sake of saving other lives. After the World Premiere of the new movie actor Daniel Radcliffe accompanied by its director, James Watkins, will arrive to Moscow, where a series of promotional activities has already been planned for them to support the release of the new film. 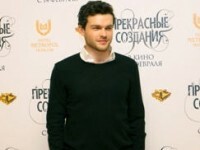 The well-known English actor will attend the central movie theater – «October», where from the stage he will sound out his message to the Russian audience visiting the Moscow Premiere taking place on the 15th February, 2012. 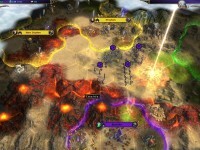 However, the next day of the stars has already been planned as well. In addition to a series of Interviews with the creators of The Woman in Black, two famous guests will launch a Press Conference right in the heart of the Russian capital, where they will answer all the questions coming from the media. Maybe it’s an intuition, but we are waiting for some questions featuring Harry Potter. Let us see. Soon, we’ll provide you with all the extensive coverage of these events.